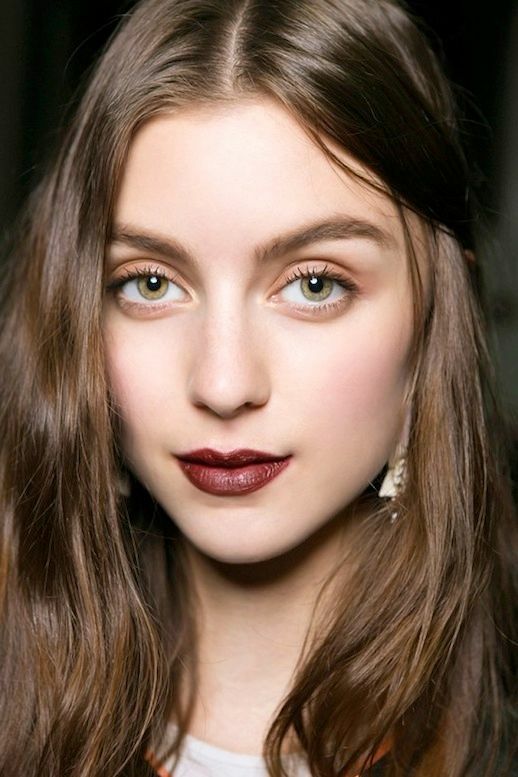 Every winter, we come across a new beauty look that becomes our go-to for the rest of the season. This year, we are loving this warm, romantic look. It not only looks beautiful, but it is also super easy to pull off. To start, you'll need a good brow pencil to fill in your brows for a polished feel. For your eyes. try a neutral peach eyeshadow for a subtle swipe of color over the lids and then a swipe or two of mascara. To finish off the look, apply a rosy blush on the apples of your cheeks and complete with a semi-matte burgundy lipstick.